You'd never know that I've actually been back to painting because I've been so slack about posting! 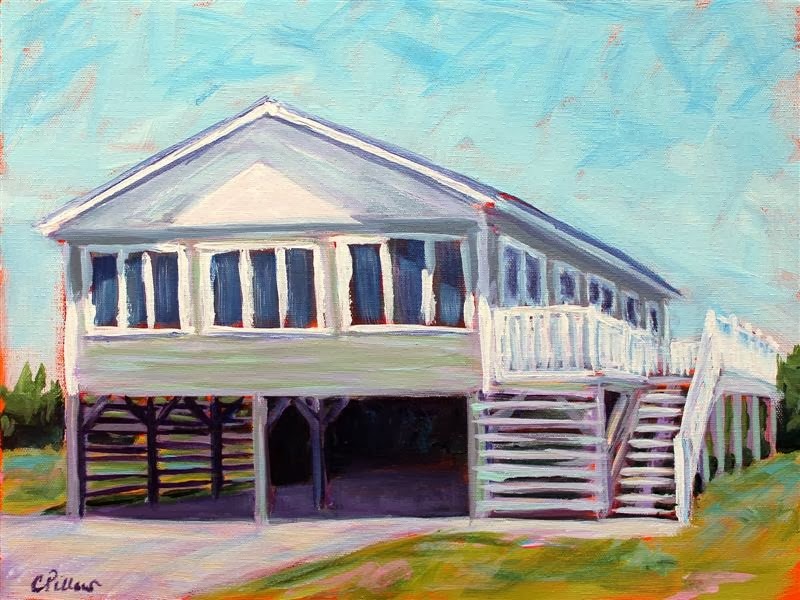 Too many irons in the fire of late~ This is a cottage in the Outer Banks that I painted for a customer. I'd actually painted a picture of HER before I knew who she was! 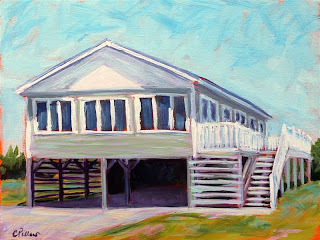 Their house is on the street we stay on during vacation, and she'd been one of my "stalk-a-razzi" victims~ :o) A mutual friend ended up buying that painting and giving it to her for her birthday. How funny is that??? Small world- I hope thy love it!